Since its inception Romik® has developed the reputation of making the best quality products in the Running Board market, this is why Quality, selection. The Professional’s Choice is our motto. Quality: All Romik® products are manufactured to meet or exceed quality standards set forth by today’s car manufacturers. Our warranty is the best in the Running Board market and we offer a lifetime warranty on all stainless steel products and a Three (3) year warranty on black products. 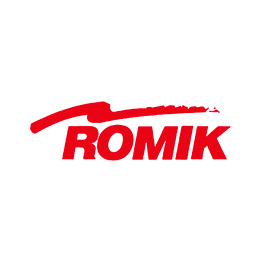 Selection: With the largest coverage of vehicle fitments in the world, Romik® continues to innovate the Running Board market with new products that are functional and look great on the vehicle. The Professional’s choice: Our engineering is second to none and tech’s all over the world have rated Romik® with the highest owner satisfaction. A happy customer is one that will always come back!